During the 1950's way before there was HBO, Netflix and DVD Movies, kids went to the matinee to see a kid's film and parents (if they could afford a baby sitter) would go out on the weekend to see what was playing at the local theater. 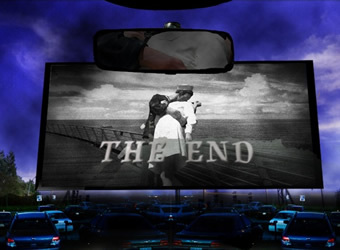 The Drive-in was a way for families to go out together to enjoy a movie. It was a place where the whole family was welcome, regardless of how noisy the children were. 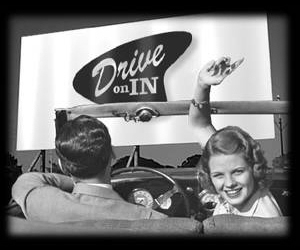 GREAT NEWS THOSE DRIVE-IN DAYS ARE BACK with our Big Screen Outdoor movies. 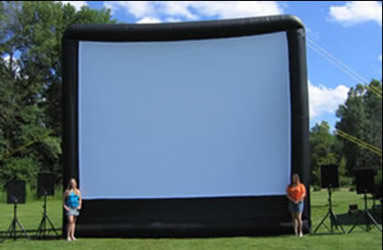 Instead of sitting in the car your residents and guests can bring out the lawn chair or blanket to sit outside at one of your parks under the stars while enjoying the big screen outdoor movie and feeling like they are part of an old time Drive In style family night out. Carey & Paul Group offer large outdoor screens with professional sound and trained technicians. We offer both 20' wide and 30' wide screens with HD Quality Picture and Blue Ray. We also offer indoor large screens for movies, video games or music videos. 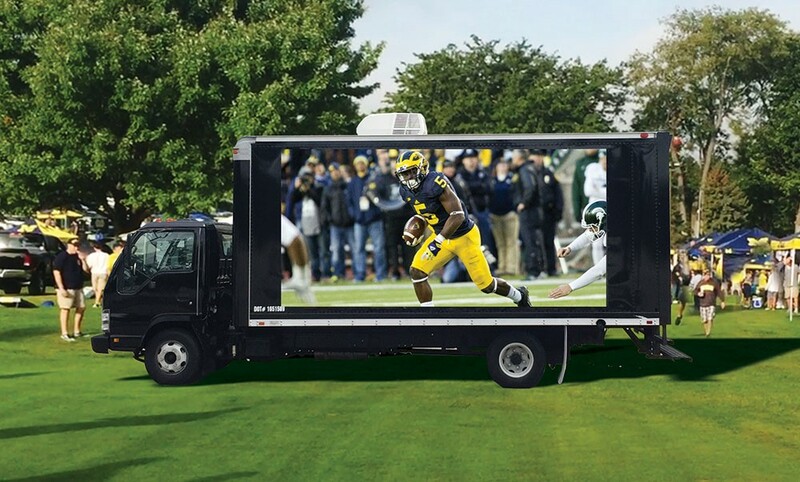 Our new LED Screen Truck is also available. 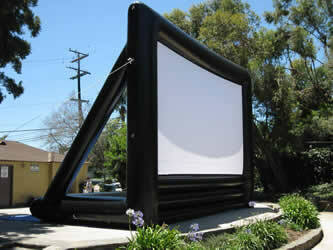 Great for promotional events and anytime movie events as you can show your movie anytime of the day. Put sponsor promotional information playing on the screen anytime of the day, throughout your event.